As you know, I am trying to find ways to slow down and add margin. I am not able to read all of the awesome books coming my way. However, I still wanted you to meet and know about this one, Praying Upside Down. 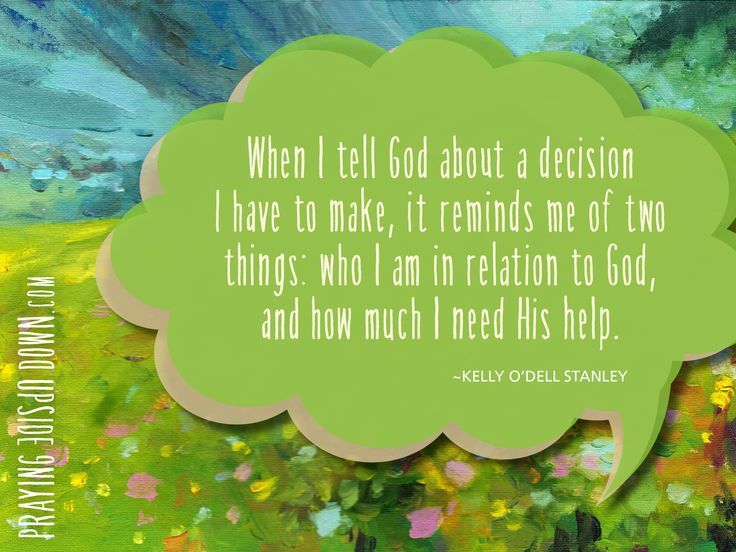 I am a huge fan of Kelly and the idea behind this book. You’ll see why in a minute. It’s on my nightstand at the top of the heap. Congrats Kelly! So happy to know you. My husband Tim and I have been married for 24 years. We have two smart, beautiful, awesome girls—Katie is 21, Anna is 18—and our son Bobby, who is also pretty smart and awesome, is 14. 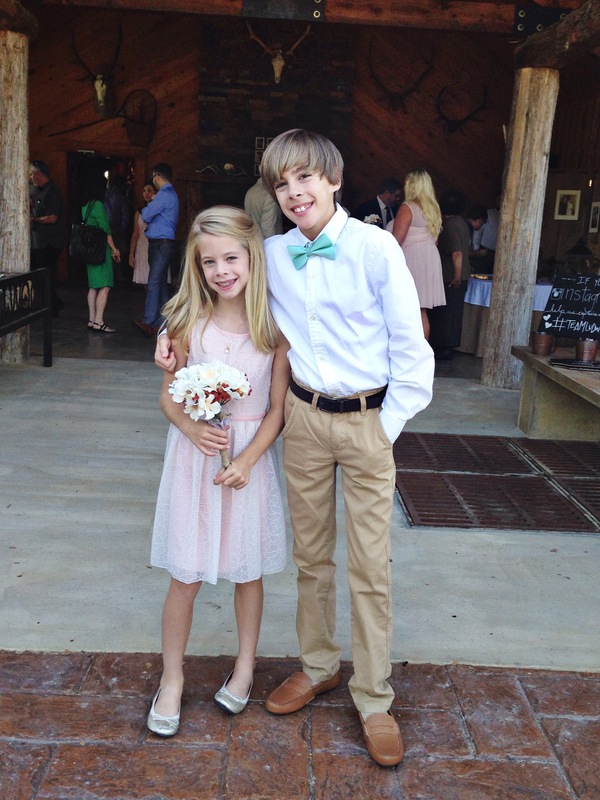 The two girls are in college and Bobby’s in 8th grade… high school next year. For my baby boy. When you are not writing books – or raising children – what are you doing? 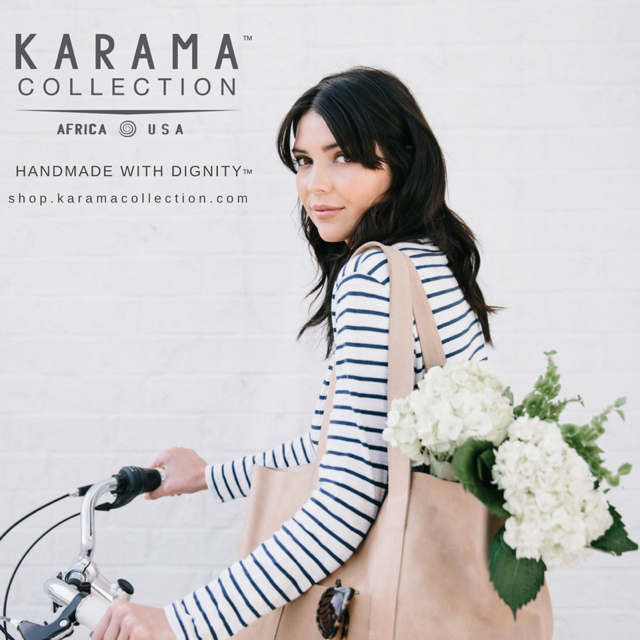 When Katie was three months old, I left the ad agency where I worked to go out on my own. My dad is a professional watercolorist, and my mom stayed home with my sister and me until I was around 16, when she went back to college to get her nursing degree, so I grew up with both parents home and wanted to give that to my kids, too. I’m a graphic designer and I’ve worked for myself for 21 years now. 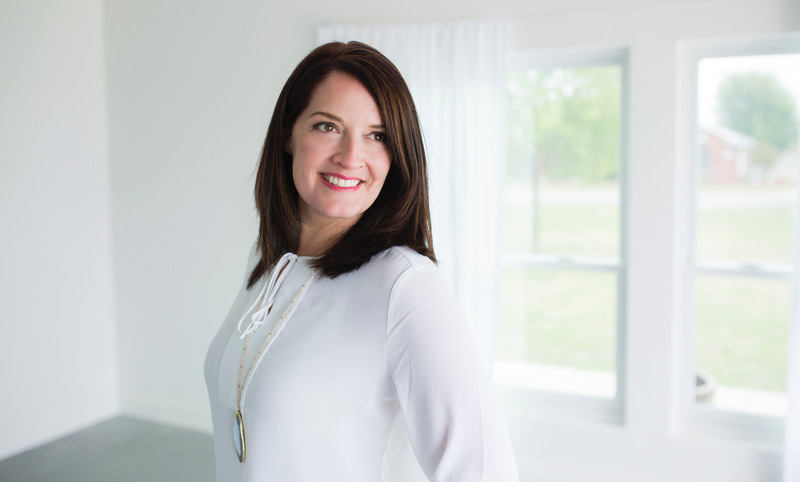 It’s given me the best—and worst—of both worlds, full-time mom, full-time business woman. It meant I got to be home when my kids were home. But it also meant my kids didn’t usually get my undivided attention, and I worked a lot of late-night hours. I’m not sorry, though. It was exactly right for me, even though it hasn’t always been easy. I tend to get consumed by my work, always thinking I can get one more thing done, and it’s hard for me to relax. I do try to make time to meet friends for coffee or lunch as often as possible, though. And I read every second that I don’t need to be doing something else! Will you tell my readers why we need to move this beautiful book to the top of our list? What is it about? 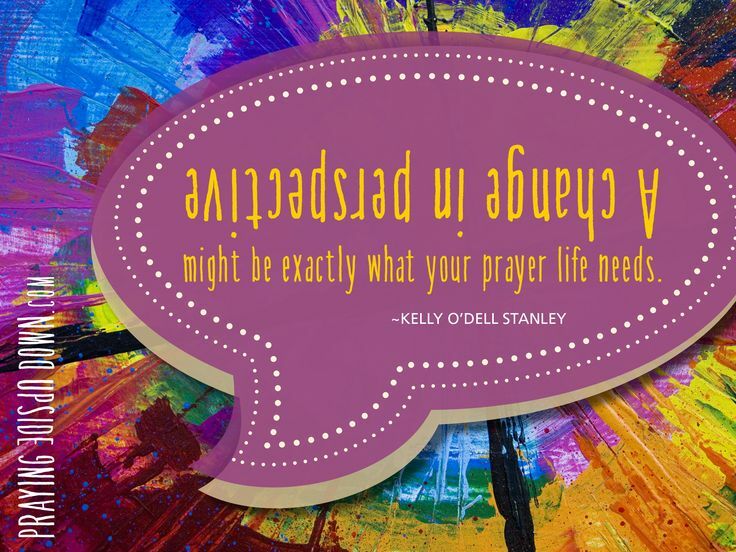 Are we literally to pray upside on our heads? Because I am pretty sure I can still do a headstand if Jesus speaks better that way. Creative people are the best. But someone who can do a headstand? I’ll always be in awe. And you never know what amazing things Jesus might reveal in that position! But it’s totally not what the book is about. 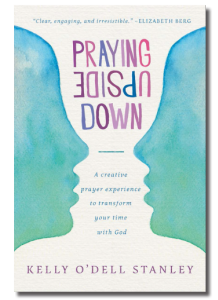 Praying Upside Down is based on the idea of an artist turning an image upside down to copy it and achieving better results because this process frees your brain from defining and limiting what you see. Instead, you are able to see what’s really there. After I started writing, I realized everything I know about art also applies to faith. It’s not just a catchy title or gimmick. It’s really how I see. Live. Pray. At its heart, the book is a memoir, but each chapter has a practical slant and contains Prayer Palettes, which are ideas about ways to change up your prayers, to try something new. What do you hope people will find in your book? Acceptance. A total lack of judgment. Clear language about faith that does not fall back on cliches or bypass hard questions or doubt. And a bunch of ideas to help them resume a prayer life. Or transform it from something stagnant to something vibrant and interesting. I hope people will realize that prayer is a beautiful thing, and that likely they already pray more than they realize they do. It’s not a difficult book—you know, the ones that you struggle through, trying to decipher the theology of something, debating where your beliefs fall in a realm of different doctrines. But I hope it will make you think. Help you to start noticing God in a new way. I tried to make it feel like it was you and me, sitting down together and talking over coffee. Except with this book, you have to provide your own coffee. And I have to do all the talking. It appears we both like the alphabet. 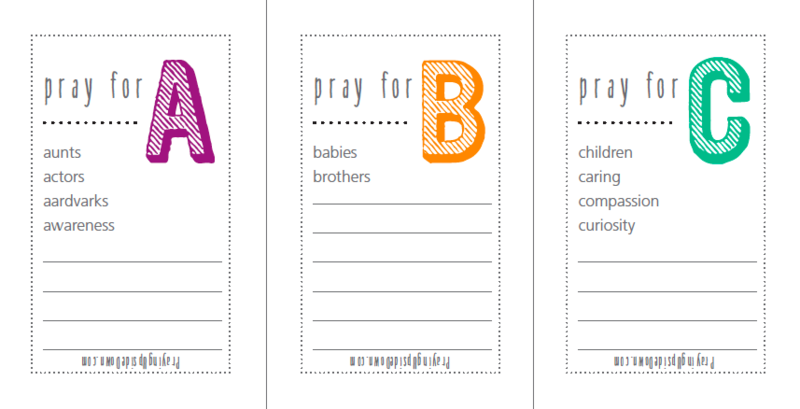 I have ABC Scripture Cards and you have Alphabet Prayer Cards – now we are product BFFs. Tell me about those! The alphabet rocks. (One of my favorite parts of college was my typography class, in which we hand-drew all kinds of fonts and learned how to construct letters.) 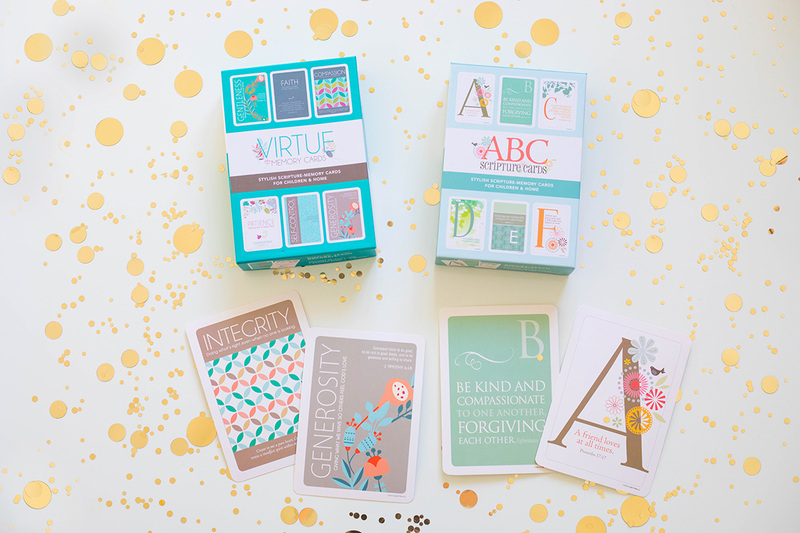 I love your ABC Scripture Cards and you’re right, we are ABSOLUTELY product BFFs! As I’ve worked on my book and talked to people, I’ve had lots of conversations with moms of young children who have trouble focusing on prayer. They can’t seem to find quiet time in their lives—can you imagine? (Umm, I sure can.) So I wanted to create something that helped moms (or dads) pray with their kids. Many of us think prayer is this formal task, but the Bible tells us to pray without ceasing. To pray about everything. My goal is to open conversations, and for people to go through their days looking around them at the people and situations they encounter. To remember that there’s always more to pray about, but that the prayers don’t have to be complicated to be effective. And this is left open-ended so that the parent can go as deep as they wish. With young kids, it doubles as a word or reading lesson. With older kids, maybe it gets them to think the most creative ways they can about prayer. 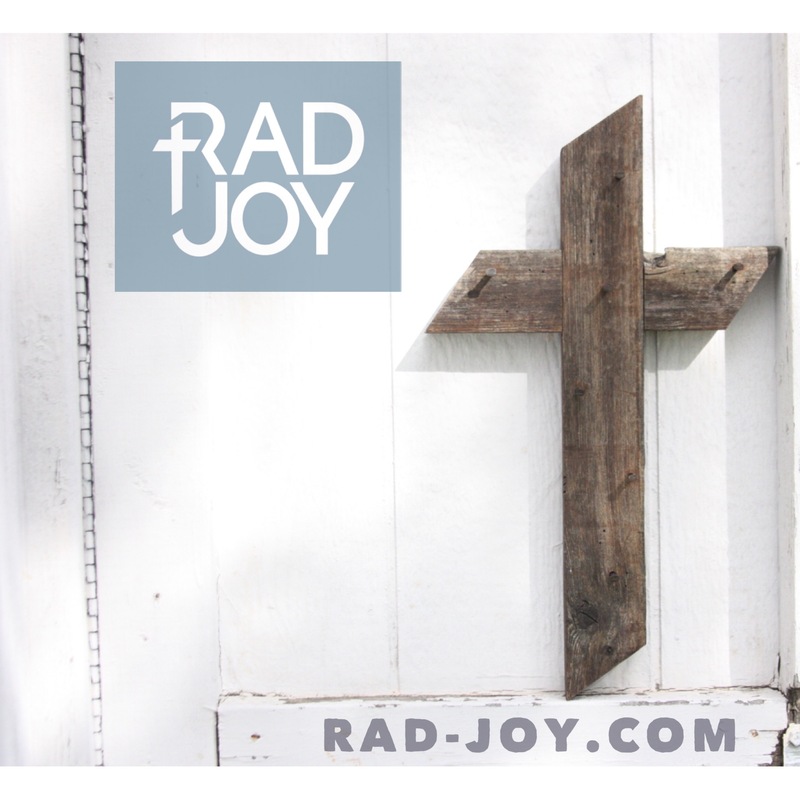 These—among other things—are free downloads for subscribers of my blog, prayingupsidedown.com. What has surprised you the most about this journey of going from marketing and graphic design to faith and blogging and writing? The biggest surprise is that it doesn’t feel all that different. Design is communication—representing an idea in terms the people we’re trying to reach will understand. When I write, I feel as though I’m translating something I see in my head into words, trying to provide the framework someone needs to see or experience what I did and then connect it to her own life. I guess the really interesting thing for me is that writing fulfills the creative part of my personality even more than visual art does. I’ll always see like an artist. I’m not giving that up or turning away from it. But I. love. writing. And truly, my inspiration is God. I love the way He surprises me with all of His answers, with the way He works. I never dreamed I’d be here as a Christian blogger and writer. But I believe I’m right where I am supposed to be. And I’m absolutely giddy about it. What is one prayer lately that has reshaped your thinking or prayer life? It’s maybe not a prayer so much as a word or revelation. Acceptance. My friend LeeAnne sent me a message several weeks ago about how this word kept coming to her. And at the time, I started puzzling through it, feeling it was important but not knowing how or why. Last week I spoke at a conference and I was a nervous wreck—even more so than, say, having to give a speech in English class with the cutest boy in the school sitting in the front row. I know, right? As I prayed before I went to the microphone, I was caught up in my own angst. Sometimes we think we hear God speak in a still, small voice. Sometimes He reveals His message through others. This time, though, it came through loud and clear: GET OVER IT! In other words, I have to stop apologizing for my failings and lack. This isn’t about me, it’s about Him. Maybe I just have some serious pride issues, but sometimes I forget that. I get so caught up in the promotion mode, trying to extend my social media reach, doing everything I can to get my name and my book out there, that I forget that I’m not the one in control. I’ve accepted that I’m where I’m supposed to be. Now I need to accept that I don’t know where it will go from here. I don’t know how God will answer my prayers for this book or how He might touch someone with its words. And I’m not entirely sure what’s next. But I’m excited to see. And I’m trying hard to keep my eyes wide open and willingly accept whatever comes my way. Buy Praying Upside Down here. Simply tell me the name of ONE PERSON you’re praying for in the comments below and you will entered to win. One random will be drawn. Giveaway ends this Friday at midnight.